The Guggenheim, with its imposing image, has become the unmistakable symbol of Bilbao, an important economic engine that has made the city a magnet for tourism, and a paradigm for museums of the 21st century. The titanium panels of the building not only elevated Frank Gehry to the Olympus of architecture, transforming him into a media celebrity, but took this small city of barely 350,000 inhabitants to a world-wide cultural orbit. October 19th, 2017 marked 20 years since the museum opened its doors to the public and now there is no doubt that we can speak of a before and an after. “At the end of the 1980s and early 90s, Bilbao was a grey city, undergoing a useumajor industrial crisis. 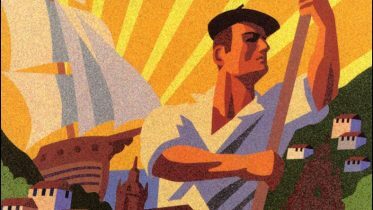 The Basque governmental bodies sought a cultural project that would become an international reference, a project of transformation and change for the city, which would also have an effect on the Basque Country overall. Simultaneously, the Guggenheim Foundation, based in New York, was thinking about its international projection to reinforce its presence in Europe after the failure of negotiations to open a new museum in Salzburg. Bilbao saw an opportunity and we jumped on it,” explains Juan Ignacio Vidarte, General Director of the Guggenheim Bilbao, who has been at the forefront of the museum since it opened its doors. 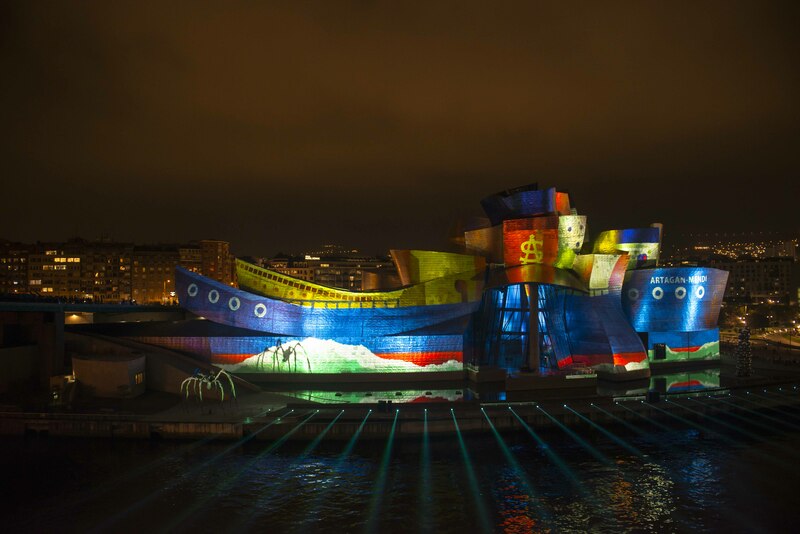 It was the first step to illuminate Bilbao and launch it to the world. Vidarte recalled that it was a venture that against wind and tide, rejections and reviews, the Basque Government, the Provincial Government of Bizkaia and the City of Bilbao held firmly. “It was a very controversial and criticized project by many sectors, politicians, artists… Many did not understand how a museum would have such a profound effect, and on the economy as well,” said Vidarte. But the data speaks for itself. The cost of its construction was 133 million euros and in the first year of operation alone, it had an effect on the Basque gross domestic product of 144 million. Its economic success, aside from its cultural contribution, is simply unmatched. And the success has continued growing: currently the Guggenheim Bilbao generates an economic impact of almost 500 million euros per year, more than triple the cost of its construction. The museum currently receives one million annual visits, exceeding its New York partner. Of these, nearly seven of every ten are foreign, mainly from France, Germany, Great Britain and the United States. But it would not be fair to speak only of economic performance. 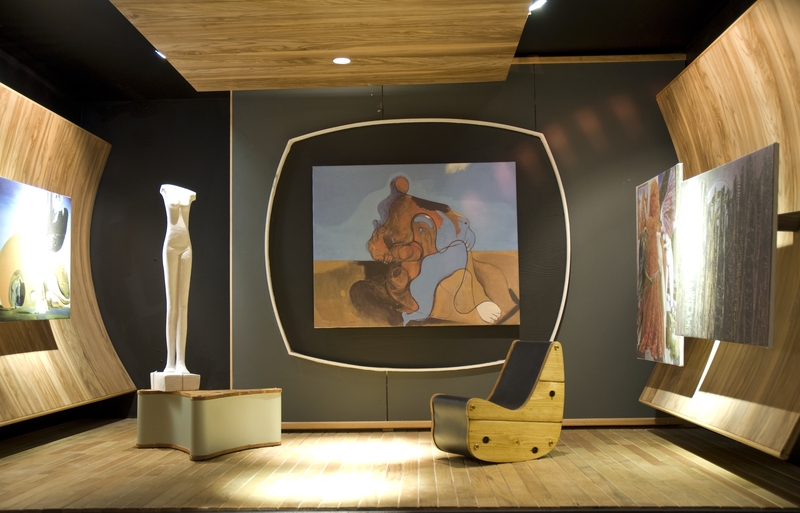 The museum has managed to gather its own collection, a solid one, and in some respects quite exceptional, with some of the key works of the most prestigious artists like De Kooning, Motherwell, Basquiat, Rosenquist, Kiefer… The list also includes forty Basque artists, contributing about one-third of the pieces owned by the museum, which include Oteiza, Chillida and Cristina Iglesias. The collection is composed of 134 works, acquired by the Basque Government and the Provincial Government of Bizkaia, each investing 50%, with a contribution of around 100 million euros in these 20 years, but whose market value has multiplied by seven or eight. Specifically, Sin titulo, by Mark Rothko (1952-53), a monumental painting measuring more than three meters tall, is priced at 156 million dollars compared to the 3.5 million when it was acquired. In other words, it has multiplied its value by 44. And Puppy, the sculpture by Jeff Koons of a puppy, sitting with its head held high, looking forward, guarding the museum since 1997, is priced at 54 million. The Mayor of the City, Juan Mari Aburto, is convinced that Bilbao cannot be understood without the Guggenheim anymore. “During these two decades, the Bizkaian capital has demonstrated its ability to reinvent itself as a city, through a new model of urban development that has put us in a position of reference and international avant-garde,” reflects the head of the City. In December 2014, the museum officials ratified a new agreement with the Guggenheim network for another 20 years. The Solomon R. Guggenheim Foundation of New York is pleased with the Guggenheim Bilbao and vice versa. So, they wanted to renew their vote of confidence, giving another start to the successful collaboration. 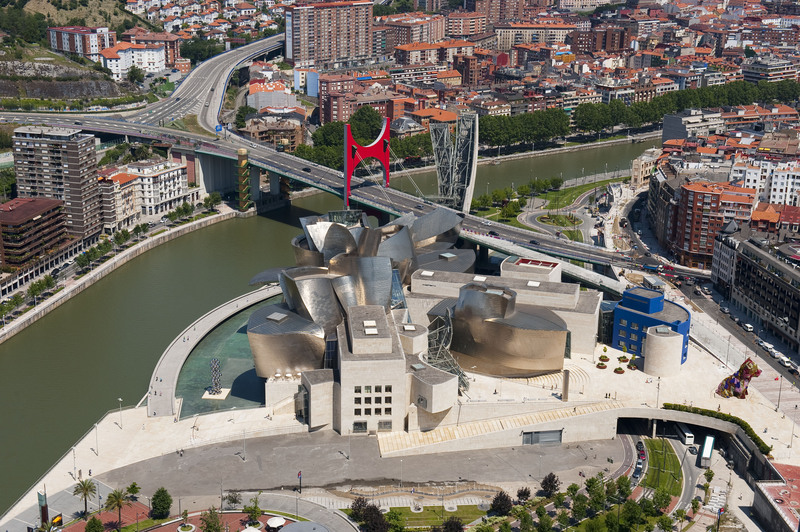 Bilbao will continue having a Guggenheim at least until 2034. But Basque leaders are convinced: no one can die of success. “The Guggenheim Bilbao effect is becoming the Bilbao effect, since we see that it’s not just the museum but rather our vibrant city, with future projects being managed with social cohesion and the development of an integrated city in mind,” says the Mayor of Bilbao. Be the first to comment on "Guggenheim Bilbao’s Twenty Years, the Museum that Projected Bilbao to the World"